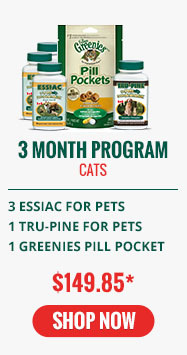 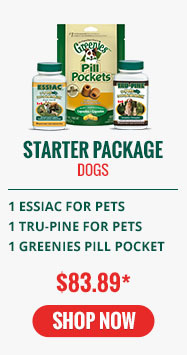 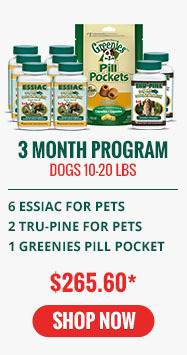 ESSIAC® for Pets is an immune system support supplement. 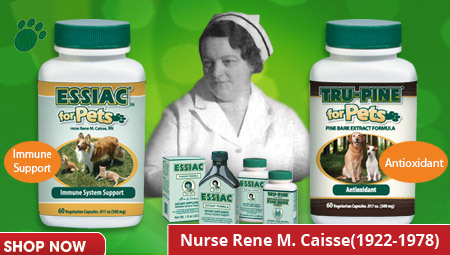 ESSIAC® for Pets is made from the original proprietary herbal formula of Rene M. Caisse developed for people since 1922. 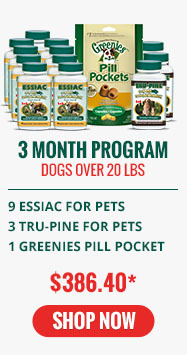 TRU-PINE® for Pets is a powerful antioxidant made from Canadian pine bark extract at 95%OPC to help fight free-radicals in your pet's immune system. 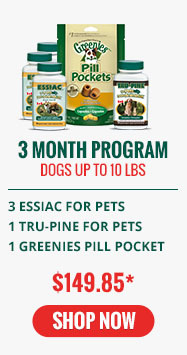 Pine has also been known to help reduce inflammation naturally.